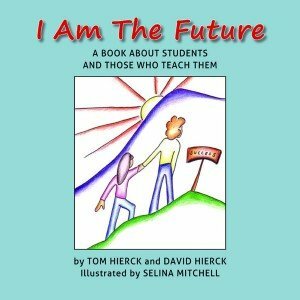 Tom Hierck has been an educator since 1983 in a career that has spanned all grade levels and roles in public education. 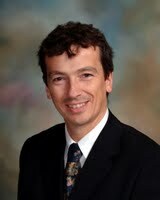 His experiences as a teacher, administrator, district leader, department of education project leader, and executive director have provided a unique context for his education philosophy. Closely examine how to manage student behaviour and classroom climate using the Unstoppable Learning framework’s proven approach. Become familiar with classroom management strategies for creating a positive learning environment, developing teacher-student relationships, and dealing with problem behaviours. 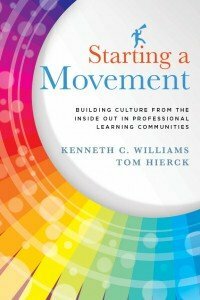 Tom Hierck gives educators the tools they need to create a learning environment that is intentional and positive. Managing Unstoppable Learning isn’t just something you do, it is everything you do! Tom Hierck makes the case for how classroom management isn’t an authoritarian assertion of power; it’s a responsibility that ensures learning for all students. 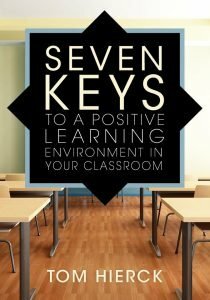 Managing Unstoppable Learning offers proactive and responsive strategies teachers can use to create an empowering classroom where students can choose behaviors that help them and their classmates learn. As a veteran teacher, I have found reminder after reminder as to why I love students and why I am passionate about what I do. This book can cure problems and save others from heartache. The information is powerful and can change schools. It is fuel for the passion of teachers to get into the classroom and focus on the real task at hand; learning. 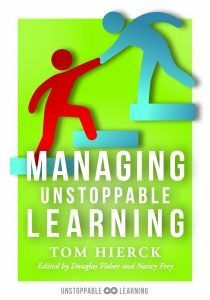 Tom Hierck delivers an educational tour de force in Managing Unstoppable Learning. 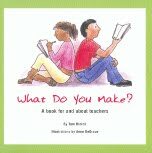 Far removed from a step-by-step solutions-only guide that tells a teacher what to do, the book evolves from the purposes of and conditions for appropriate student behavior to constructing the environment and responses to teach students how to behave to learn best. Contact Tom Hierck (thierck@gmail.com) to order or follow this link. Tom is a compelling presenter, infusing his message of hope with strategies culled from the real world. He understands that educators face unprecedented challenges and knows which strategies will best serve learning communities. Tom has presented to schools and districts across North America with a message of celebration for educators seeking to make a difference in the lives of students. His dynamic presentations explore the importance of positive learning environments and the role of assessment to improve student learning. Ongoing support and consultation ensure that the methods to achieve these ends are implemented and upheld over the longer term. His belief that “every student is a success story waiting to be told” has led him to work with teachers and administrators to create positive school cultures and build effective relationships that facilitate learning for all students. Tom has worked with district/division leaders as well as school leaders on the design and implementation of structures and programs that promote effective practice and produce positive results. The initial on-site visits can be followed up by various forms of electronic communication so that ongoing support is available as staff and student populations evolve over time, ensuring the long term success of districts, schools and students.